Description: this airframe was the first commercial aircraft of Delta Air Transport and was delivered on February 23 1967. Here, at its home base depicted with tail logo and no titles. 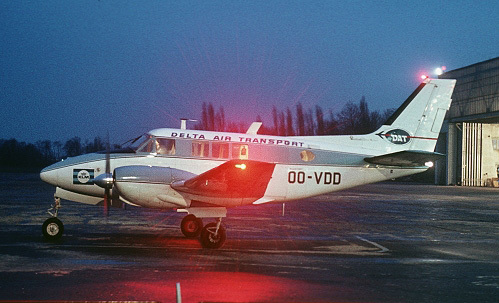 Description: prior the pax service between Antwerp and Amsterdam, which began on September 19 1967, "Delta Air Transport" titles and a KLM sticker were applied. Description: beautiful take-off shot on another flight to Amsterdam . 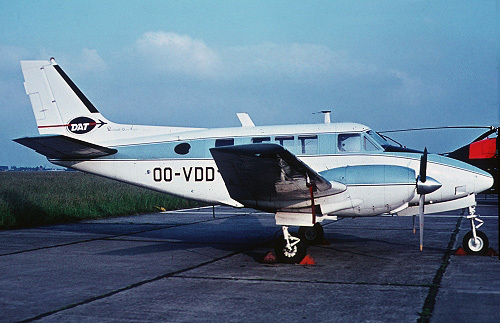 Description: when by the summer of 1968 the link between Antwerp and Amsterdam was upgraded with DC3's, the Beech flew from on behalf of SABENA on their regional network from Brussels. 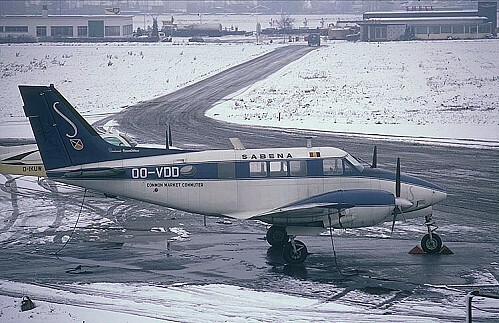 It wore the old markings of SABENA with small "common market commuter" titles and became such operational on August 23 1968 and this lasted till May 1970. 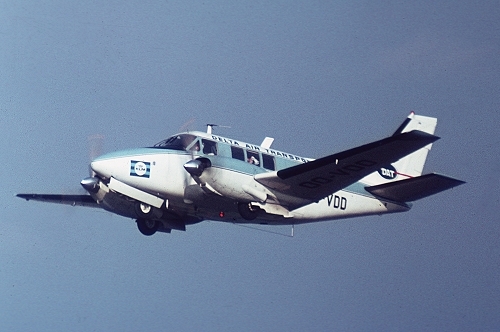 After this contract, the airframe was cancelled to France.